The Aérospatiale-BAC Concorde is a turbojet-powered supersonic passenger airliner, a supersonic transport (SST). It was a product of an Anglo-French government treaty, combining the manufacturing efforts of Aérospatiale and the British Aircraft Corporation. With only 20 aircraft built, their development represented a substantial economic loss, in addition to which Air France and British Airways were subsidised by their governments to buy them. As a result of the type’s only crash on 25 July 2000 and other factors, its retirement flight was on 26 November 2003. Concorde's name reflects the development agreement between Britain and France. 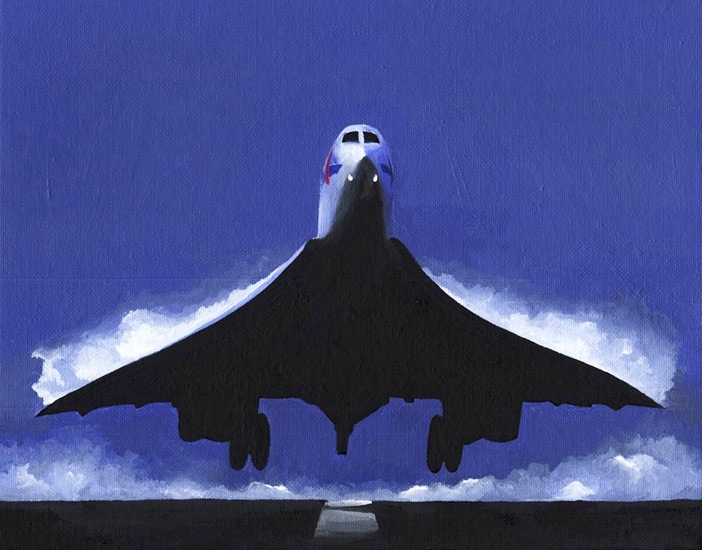 In Britain, any or all of the type—unusual for an aircraft—are known simply as "Concorde". The aircraft is regarded by many as an aviation icon. While commercial jets take eight hours to fly from New York to Paris, the average supersonic flight time on the transatlantic routes was just under 3.5 hours. Concorde had a maximum cruise altitude of 18,300 metres (60,039 ft) and an average cruise speed of Mach 2.02, about 1155 knots (2140 km/h or 1334 mph), more than twice the speed of conventional aircraft. During a landing approach Concorde was on the "back side" of the drag force curve, where raising the nose would increase the sink rate. 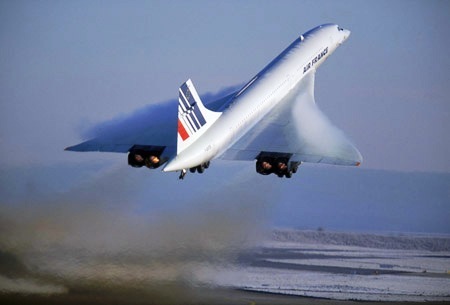 The delta-shaped wings allowed Concorde to attain a higher angle of attack than conventional aircraft, as it allowed the formation of large low pressure vortices over the entire upper wing surface, maintaining lift. The normal landing speed was 170 miles per hour (274 km/h). The fastest transatlantic airliner flight was from London Heathrow to New York JFK on 7 February 1996 by British Airways' G-BOAD in 2 hours, 52 minutes, 59 seconds from takeoff to touchdown. 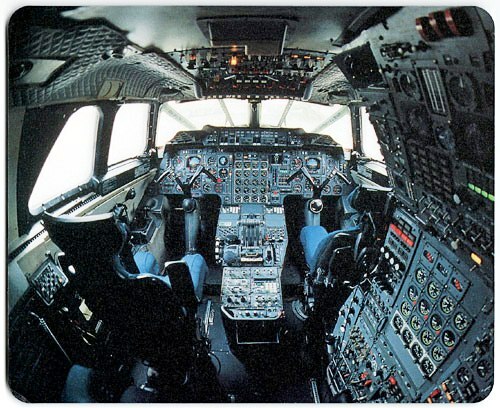 Concorde also set other records, including the official FAI "Westbound Around the World" and "Eastbound Around the World" world air speed records. On 12–13 October 1992, in commemoration of the 500th anniversary of Columbus’ first New World landing, Concorde Spirit Tours (USA) chartered Air France Concorde F-BTSD and circumnavigated the world in 32 hours 49 minutes and 3 seconds, from Lisbon, Portugal, including six refuelling stops at Santo Domingo, Acapulco, Honolulu, Guam, Bangkok, and Bahrain. The eastbound record was set by the same Air France Concorde (F-BTSD) under charter to Concorde Spirit Tours in the USA on 15–16 August 1995. This promotional flight circumnavigated the world from New York/JFK International Airport in 31 hours 27 minutes 49 seconds, including six refuelling stops at Toulouse, Dubai, Bangkok, Andersen AFB in Guam, Honolulu, and Acapulco. By its 30th flight anniversary on 2 March 1999 Concorde had clocked up 920,000 flight hours, with more than 600,000 supersonic, much more than all of the other supersonic aircraft put together in the Western world.